Does Ubuntu Need More "Apps"? Does Ubuntu Need More “Apps”? These days, it often feels like an operating system is only as cool as its "apps" -- which are separate from applications, mind you. And so it's not surprising to see Canonical pushing hard to deliver more apps to Ubuntu users, an effort highlighted most recently by the upcoming AppsSprint. These days, it often feels like an operating system is only as cool as its “apps” — which are separate from applications, mind you. And so it’s not surprising to see Canonical pushing hard to deliver more apps to Ubuntu users, an effort highlighted most recently by the upcoming AppsSprint. Yet is Canonical, promoter of the Ubuntu Linux distribution, catering to real demand among users, or simply following hype? Here are some thoughts. 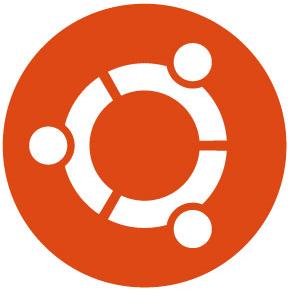 As Canonical developer Daniel Holbach explains in a recent blog post, the Ubuntu community draws strict distinctions in technical terms between traditional application packages and those for apps. They install into different locations and undergo a different review process before reaching official Ubuntu distribution channels. Yet what separates an Ubuntu application from an app in layman’s terms remains somewhat less clear. According to the Ubuntu wiki, apps are “lightweight applications,” and can be distributed for free or for a price. But “lightweight” is a relatively ambiguous descriptor, of course, and undoubtedly many software programs could fall into either the app or application category. For the time being, however, Canonical appears less concerned with the nuances of app definitions, and more eager simply to encourage third-party developers to submit software that can be called apps. The AppsSprint, to be held from July 2 through 4, is part of that endeavor, and promises to help smooth over some of the challenges which currently make the app submission process less ideal than it could be. Ubuntu developers also recently instituted the Ubuntu App Review Contributors team in order to encourage more volunteers to help process apps submitted for inclusion in the Ubuntu repositories. Their help is needed since, according to Holbach, a large number of apps are currently waiting in line to be reviewed without sufficient manpower at the moment to process them. Apps vs. Applications, and Does It Matter? Canonical’s efforts to encourage more third-party contributions, in whatever form they take, to Ubuntu’s already massive software repositories won’t hurt anyone. Having more software available is always a good thing. I wonder, though, if the particular efforts being devoted to these vaguely defined entities called apps might reflect Ubuntu developers’ eagerness to conform to hype rather than address real demand among users. As cool as it is to have lots of things that one can call an app, Ubuntu’s packaging and software-distribution system has always worked just fine for me the way it is. Adding a new branch dedicated to apps seems like it could complicate the lives of developers and possibly confuse users, few of whom would be likely to understand the difference between an app and a traditional application even if Canonical provided a clearer definition — which it currently does not. And in any case, Ubuntu, at least for now, remains a pretty traditional operating system. True, sooner or later, if Canonical has its way, Ubuntu may be powering phones, tablets and TVs. But until that happens, a majority of desktop Ubuntu users are going to be running the platform on traditional PCs. In those conditions, it makes less sense to build a sub-ecosystem around apps, which are typically associated mostly closely with more novel hardware devices. Granted, maybe I’m just afraid of the future and change. (I still haven’t broken down and bought a tablet, which probably makes me a Luddite by comparison to most techies.) But I like Ubuntu the way it is, and I’d be sad to see resources spread too thinly in the interest of creating apps just for the sake of fitting in. Canonical will continue to push to make Ubuntu more and more like commercial operating systems, which is why I abandoned it long ago. I don’t particularly want to run an OS designed for mobile devices on my desktop or laptop. I’m far more interested in “applications” that help me get stuff done, and far less interested in “apps” that are typically designed for consumption. If Canonical wants to dilute their OS until it’s a mere platform for consumption, that’s fine with me; there are plenty of other distros out there that facilitate actual work and creativity; and don’t bend to rub up against the latest buzz words. I like Ubuntu. I think Canonical has a big contribution in bringing Linux to masses. It is because of Ubuntu that common man is looking at other Linux distros. Calling an application “app” is a hype created by Apple. Earlier we used to call them Gadgets/Widgets/Applets etc. which are not cool names any more. It makes perfect sense for Ubuntu to create the “sub-ecosystem” of apps. Ubuntu is confirming to the hype because their long term goal is to enter the mobile and TV market. In the short term, they can penetrate the tablet market with the Unity UI and “apps”; think Windows 8 with Microsoft Surface tablet (or do the call those slates!). While I may have moved away from Ubuntu awhile ago, I actually find their efforts quite exciting. Maybe they are following the hype, but they have the end goal of creating hype as well. As an example, I’m already considering making my next phone one that runs Ubuntu for Android and if Ubuntu could eventually nail down the apps that make me still prefer Android over other mobile Linux platforms I could one day see myself buying a tablet or smartphone that only runs Ubuntu; after all, Xfce or a light weight window manager like Awesome is only an apt-get away when I want to use it for a desktop. Ubuntu/Canonical may do whatever they want to do. It’s for them to decide. …but in general they should probably spend their resources on getting Unity sorted out. That includes both usability wrt existing functionality, non-existing functionality, driver issues and bugs. Meanwhile, I remain totally unimpressed. The best Linux desktop alternative is OpenSUSE, and it has been so since they released the 12 series. SUSE is however long overdue with a commercial version replacing SLED 11 SP2. I always thought app is just a short way of saying application and that the myapp.developer.ubuntu.com portal was nothing more than a way for developers to submit their software for inclusion in Ubuntu and submit updates for it, and to do so independently of Ubuntu’s release schedule. IOW, a way for Ubuntu to move the responsibility of managing the applications in the Ubuntu repositories from Ubuntu’s packaging teams to the developers.